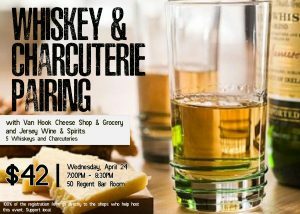 Our guides will be Van Hook Cheese & Grocery, and Jersey Wine and Spirits. A rare chance to experience two of the best providers of fine foods and spirits that Jersey City has to offer. All registration costs go directly to the businesses helping to host this event. Support Local. Support Food.